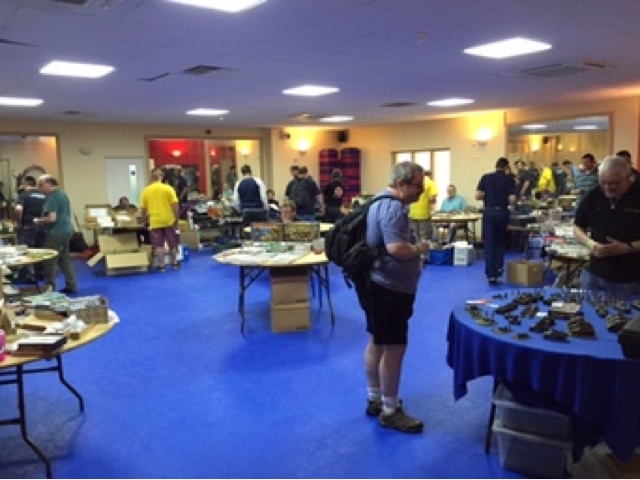 This weekend I was lucky enough to attend Broadside, a Wargames Show based in Sittingbourne, Kent. As ever I was accompanied by my beautiful and very dedicated girlfriend! She has moved her support and interest in gaming up a notch and has decided to build, paint and game with her own army and having settled upon a Space Wolves force we were able to use this event to source some Fenris based bargains in order to start her off. The venue itself was a leisure club in Sittingbourne and it was just the right size to cater for the event which consisted of a proportionate mix of stalls, participation games and interest areas. From the moment we arrived the organisers and participants were universally welcoming, friendly and generally great guys and I was quickly reminded what a great hobby this is and what nice people take part in it. Despite the sabbatical from the hobby mentioned in my last post I have still been using the odd spare moment here and there to progress my genestealer cult for the up-and-coming campaign that I am planning for my dedicated girlfriend and I. Currently I am smashing out hordes of fresh brood brothers who are destined to act as cannon fodder on the battlefield in order to allow the more precious hybrids and purestrains to close with the enemy during games. As per my earlier post I am continuing to use the original 1995 Orlock models to act as my brood brothers within the ranks of the growing cult, I am utilising a specific palette in order to tie these base humans to the hybrids that I have already painted.